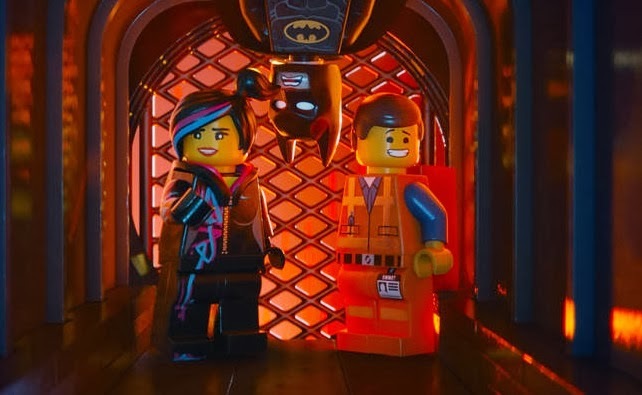 To think Pixar once had the clever animated film market completely cornered and yet now we have Warner Bros' “The Lego Movie.” It’s a super fun twist on everything you thought you knew about how a product could be used to make full-length motion picture entertainment. Much like the absolutely clever videogame tribute “Wreck-It Ralph” and Pixar’s influential hit “Toy Story,” Warner Bros’ “The Lego Movie” is an absolutely fun and clever take on a genre whose original ideas had seemingly flown the coop (even Pixar seems stranded in sequel-land). Yes it’s a film based on the immensely popular Lego playsets, but it’s more than a full length commercial. It’s a delightful and witty film (with stunning computer animation) that is just as entertaining for adults as it is for kids. And it has a surprisingly poignant and affecting message. What could a movie about inanimate building blocks possible be about? The film is set in a fictional Lego universe that is controlled by en evil ruler known as Lord Business (Will Ferrell). Magical wizard Vitruvius (Morgan Freeman) talks of a prophecy in which a “Special” will be able to defeat President Business who intends on destroying Lego humanity with an evil device called a “kragle.” Enter mild mannered construction worker Emmett (Chris Pratt) who happily goes about his day in the George Orwellian society in which Lord Business is the dictator. He meets a woman named WyldStyle (Elizabeth Banks) who mistakes him for the “Special” setting the story into motion. It’s a pretty basic setup for what will become a terrifically clever on the classic “Chosen One” storyline. It’s the fascinating world and lovable characters that co-writers and directors Phil Lord and Chris Miller have given us that really sets this animated adventure apart from other films of this type. They employ a colorful, shiny plastic world in an almost stop-motion animated sort of way. It’s really the ingenious script that really works here though. Along with co-writers Dan Hageman and Kevin Hageman, Lord and Miller have crafted a superbly funny satire of everything from taking a knock at commercialism, corporate America, and pop culture. Take for instance the TV show everyone in this world is obsessed with: “Where are My Pants?” It might just be too on the nose actually. Emmett and Wyldstyle are eventually joined by other colorful characters including Lego Batman, voiced wonderfully by Will Arnett. It’s with these supporting characters that the film really shines. Warner Bros has gone above and beyond to cram in as many amusing character cameos as possible, including Lego versions of Wonder Woman, Gandalf, Abraham Lincoln, and even some friends from a galaxy far, far away. Other familiar voices include It’s Always Sunny in Philadelphia’s Charlie Day, Community’s Alison Brie, and Jonah Hill as a stalker version of the Green Lantern who just won’t leave Channing Tatum’s Superman alone.